Now you can enjoy performing karaoke for yourself and others even if you are in a college dorm, hotel room or your favorite Aunt’s house. 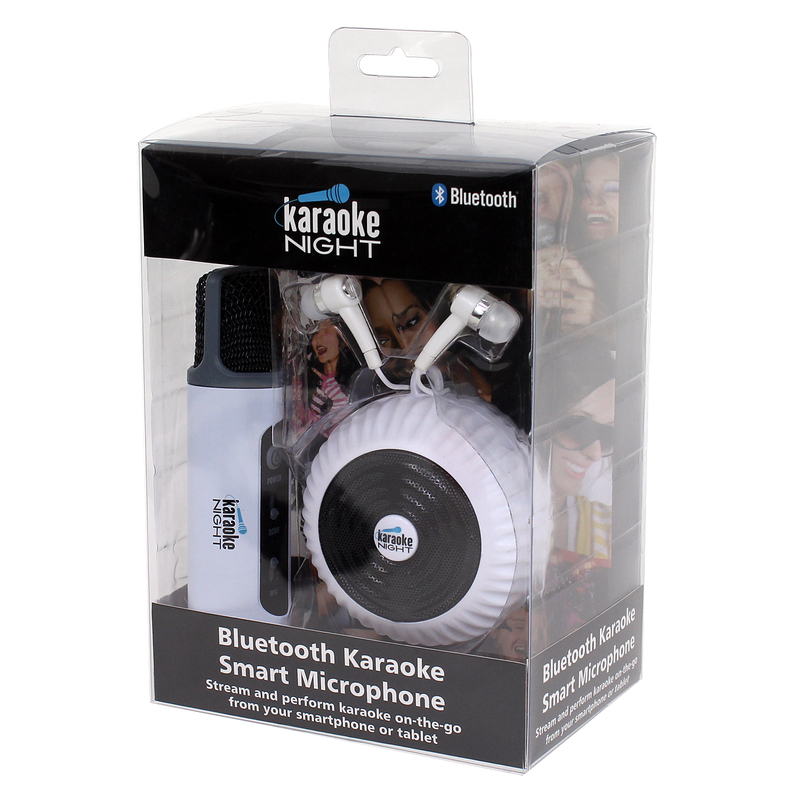 With the KN60SM Bluetooth Karaoke Smart Microphone with External Wired Speaker and Earbuds, you can stream and perform karaoke on-the-go from your smartphone or tablet. 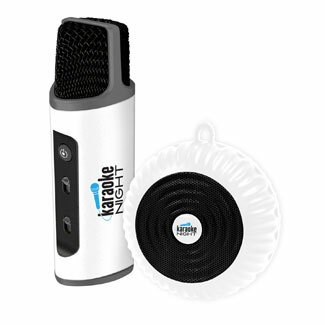 The wireless microphone has a built-in lithium battery and volume, echo, on/off controls. There is also a micro USB input jack for audio recording from the mic (cable included). Plus this item includes a 3.5mm audio output jack for connecting the microphone to earbuds or external wired speaker. The fun on the run is limitless with this unique Karaoke Smart Microphone.